ManTech International Corporation and the Maryland Cybersecurity Center (MC2) are pleased to announce the "ManTech Cybersecurity Scholars" program. 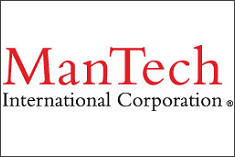 This program is supported by a gift from ManTech. Students with a record of academic excellence, experience and/or accomplishments in cybersecurity research, education or *related activities are encouraged to apply for the ManTech Cybersecurity Scholars program. Four ManTech Scholarships will be awarded in the 2013/2014 academic year (Sept 2013-Aug 2014) to undergraduate students majoring in computer science, computer engineering, or electrical and computer engineering. Eligibility criteria include: sophomore or junior-level standing at time of application, proof of U.S. citizenship (or permanent resident alien status), and a minimum 3.2 grade point average. This prestigious scholarship will provide each of the four ManTech Cybersecurity Scholars with a $5,000 non-renewable scholarship. CS and ECE faculty members are encouraged to bring this program to the attention of their most highly qualified students. Applications must be completed by 5pm on Friday, October 11. Questions about the program can be emailed to echapman@umd.edu. *Cybersecurity activities are to be interpreted broadly (e.g. participation in cybersecurity competitions, training programs, workshops, events, or conferences).